We can all pretty much agree that there will be three new iPhones launched later this year, that much is almost a given following months of rumors reiterating that fact. One of the people at the center of those rumors is Ming-Chi Kuo, and the analyst is at it again, this time offering insight into which colors those iPhones will be available in. 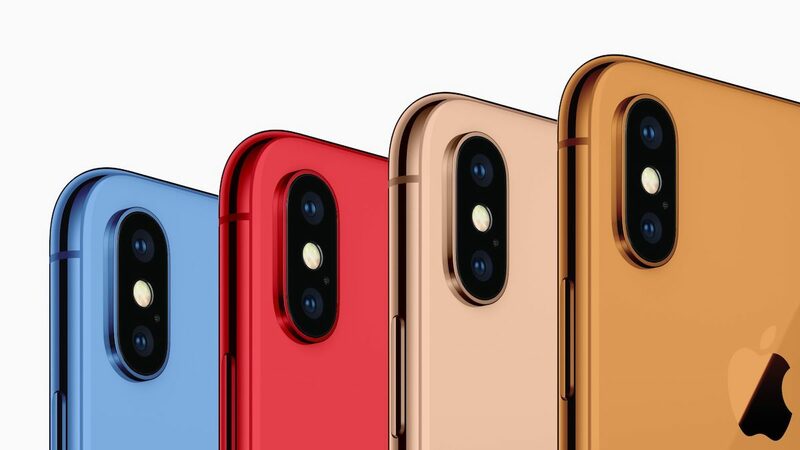 According to Kuo, the new iPhones will be available in a host of new colors available when the handsets are announced, likely this September. Starting out with the 6.5-inch iPhone X-like device, the belief is that we can expect black, white and gold to be available while the less costly 6.1-inch LCD phone will be the most colorful; gray, white, blue, red and orange are the colors set to be on offer. While it is unclear as to whether the white and gray colors mentioned are the existing Silver and Space Gray iPhone X colors that are available today, and even if they are, that means we can expect four new colors across the range. The inclusion of red, blue and orange is particularly interesting and would see the most colorful iPhone range since the iPhone 5c. Kuo also had more words for those wondering how much the new devices will cost, too. Based on the report it is believed that the 6.1-inch LCD iPhone could retail for around $700 wheras the larger, premium 6.5-inch iPhone will cost somewhere in the ballpark of $1000, just like today’s current iPhone X.
It’s anticipated that all of Apple’s new flagship iPhones will be announced this September, especially if the company continues its previous iPhone release cadence. Never understood why they do this. My iPhone X is space grey, but I slapped a case on it immediately and haven’t taken it off. Maybe on a <$300 model I could see people not using a case and caring about the color. However, having paid $1k for this thing, I don't dare take it out of case for fear of dropping it. So the color is hidden all the time.